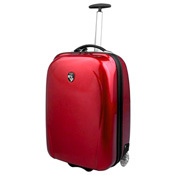 Heys USA has created number of successful luggage brands over the years, e.g. the Crown Edition, the Britto Collection, Disney by Heys, etc. What all the Heys luggage collections have in common is that their focus is on creating fashionable luggage but still with modern travelers needs about functionality, size, and weight in mind. In other word, the luggage functionality is important to Heys but they get there without scarifying the fashion aspect of the design. "Your luggage is a canvas that allows you to express yourself within a drab world and with Heys USA you can truly tell, or show the world who you are and more importantly who you want to be"
Heys offers different luggage collections to fit different travelers. 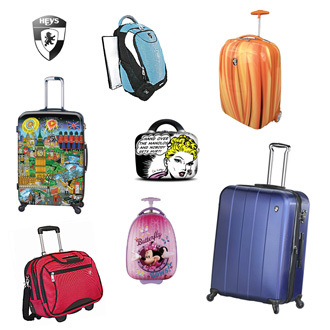 We at B for Bag have grouped our selection of Heys luggage into the following categories. This is what we like to call Heys traditional luggage range, i.e. offering wide range of luggage to fit different travelers' needs and budgets. Here you can find suitcase, spinners, carry-on bags, business cases, laptop bags, beauty cases, as well as the amazing Xcase Collection, introduced in 2003 as the world's lightest carry-on luggage. 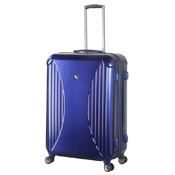 The Heys USA collection is about fashionable and functional luggage at affordable prices. Their luggage sets are very good value for money. The Heys Crown Collection combines luxury, style and fashion in one beautiful piece of luggage. It is though not only about the look, it is also about functionality. The core piece is a rolling upward spinner made of 100% polycarbonate with high gloss finish and soft ballistic nylon compartment to store those essentials you want easy access to. They also come with built-in flush mount TSA lock, signature chrome exterior handle system, 8WD smart wheeling system, fully lined organized interior and a built in bag carrier. Heys Crown spinners come in various sizes and trendy range of colors. The collection also includes wheeled business cases and beauty cases that can be easily attached to telescoping handle of rolling luggage. The Heys Crown collection is highly fashionable luggage that combines modern luggage technology and distinctive style. Biocase is Heys "Rolls Royce collection". This is where technology, innovation, style and fashion have come together to create something very special. Biocase incorporates all the latest in luggage technology and material, plus some more. Like the state of the art biometric lock system that requires your fingerprint to unlock the bag. There are currently only two types of bags in this range. A business case (15 inches) that can be easily changed into an overnight case by removing the accordion interior and a wheeled carry-on bag (21 inches). Biocase is for those that want ultimate security and style and have the money to buy it. Heys artist luggage range includes number of artists. The Britto luggage collection may be the best know collection so far, but Heys signed a licensing agreement with the pop artist Romero Britto in 2009. The result is a colorful and fun luggage range that really stands out from the crowd. Heys has since added more artists, like Charles Fazzino and Nelson De La Nuez. So if you want to expand your art collection and show off your sense of style at the same time, you can now buy trendy, high-end, yet affordable artistic luggage. Heys artistic luggage collections really do make a statement and stand out from the crowd. Even the interior is fun and colorful. This is truly a fashionable luggage. Heys signed a licensing agreement with Disney in 2008 to develop and market travel goods for children. Heys Disney luggage collection has been highly successful. The range includes backpacks, duffels, and upright-wheeled luggage. 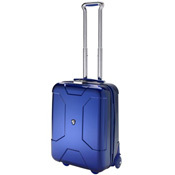 The focus is on lightweight and comfort, as this is a luggage for small shoulders and backs. The exterior is fun and lively, offering beloved Disney characters, like Cinderella, Tinker Bell, Winnie the Pooh, Mickey Mouse and friends, etc. 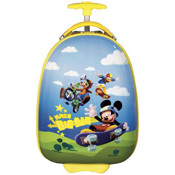 Kids love doing what we do and your kids will feel all grown-up travelling with their own bag. They can also use them as overnight bags when you are back home from your travels. Amazon offers wide range of Heys bags. These are some of our Heys favorites.